ADORABLE AND AFFORDABLE! Lovely Renovated, 3 bedrooms, 2 full baths, and Garage, block construction home. Everything is new! 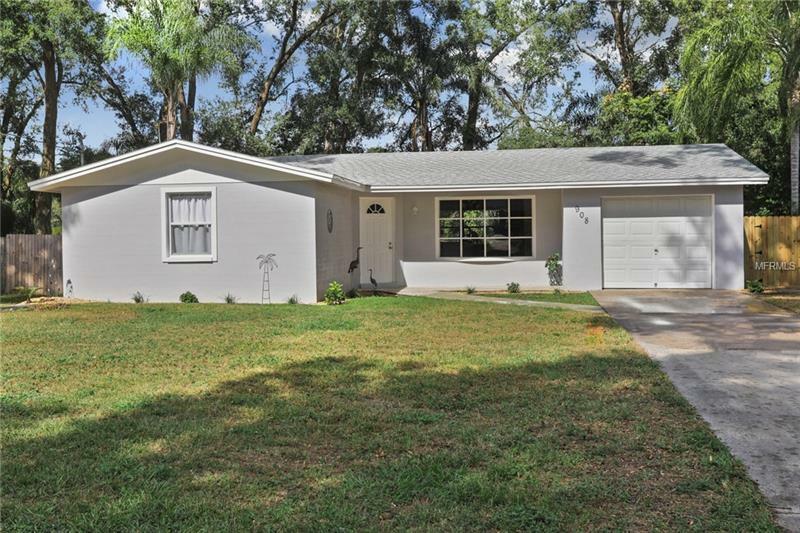 New Roof, A/C, water heater, Gleaming Granite counter-tops, Sparkling Stainless Steel Appliances, White Kitchen Cabinets, Easy-care Wood-look tile floors throughout every room even the screened lanai. Beautiful Bow window in Living room looking out over front lawn with basketball hoop by the driveway. Welcoming Open front porch and Private Screened back porch/lanai, Florida room off the Dining room and Lanai, Light, bright new kitchen in the heart of the home. Freshly painted inside and out, no popcorn ceiling, all walls and ceilings have knock down texture, Move in Ready, open floor plan with split bedrooms, Master has master bath with step-in shower & walk-in closet. All renovated for you. Spacious Laundry area in immaculate Garage. Huge 1/4 acre, fenced lot. All this on a quiet, cul-de-sac street. Park your boat or RV on your lot. There are no deed restrictions, no HOA, no CDD fees. It cant get any better. Hurry to see this one before it is SOLD! Call your Realtor today! see virtual tour.